I’m Damgam, new News Contributor and veteran player of Evolution RTS. I’ll try to make update announcements more often from now on. ShardAI tries to play as human-like as possible, but unfortunately it needs some cheats to work. It will be continually worked upon and improved. 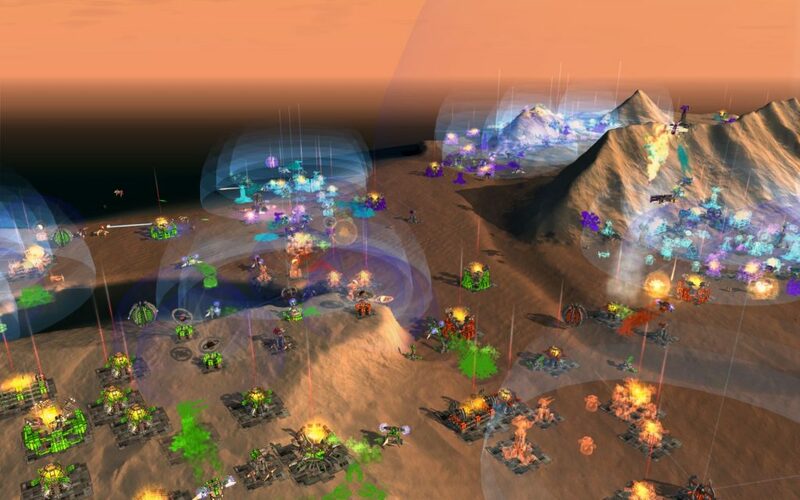 This Gamemode, mostly known from FPS games, had its time in Evolution RTS. It has been removed for several reasons. New players occasionally had trouble understanding the concept. While it did essentially put a timer on game length and result in some really close down to the finish-line games, that occurrence was only common at higher levels of play. In reality, generally casual players would either not recognize the significance of control points, or even outright ignore them, resulting in their score eventually hitting zero and everything exploding, leaving the player confused as to what was happening. 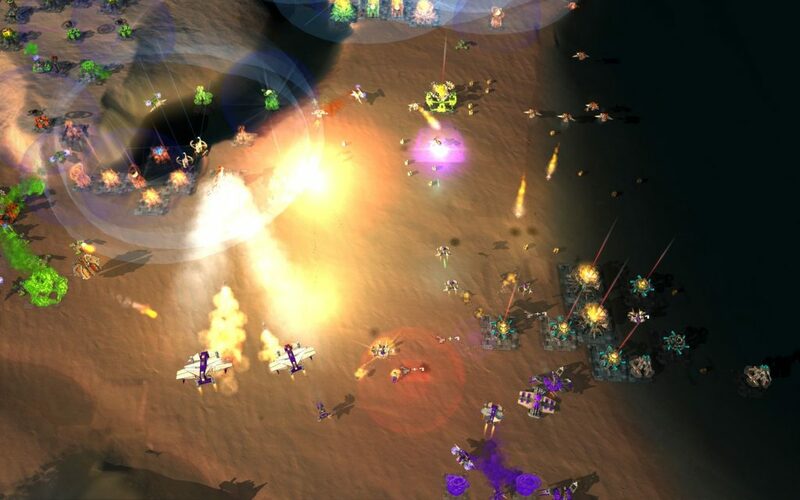 For these reasons, the gameplay has been revamped to suit a more traditional RTS style… Destroying everything in sight, without mercy or remorse. Expensive and powerful beasts, that’s how you could describe current Tech 3 units and structures. Nuclear missiles create a Big Boom, Long Range Artillery makes a lesser Big Boom, and Tech 3 units can take many shots to the face… but those changes have to be balanced, right? Nuclear Silo and Anti-Nuke shields are limited to 1 per player, so you can’t nuke spam your opponent. Lobster (Long Range Artillery) eats 15 supply (yes, that’s a lot). The new upgrade system allows you to improve unit stats for the cost of additional metal. Units are upgraded directly, and may be used while they are being upgraded. Factories and turrets have 3 upgrades, up to MK4. Metal Extractors can be upgraded to give you additional metal. These upgrades are independent of tech level. It is entirely possible (While not recommended) to have a Mark IV factory that is only capable of pushing out kites. Not such a great idea, but we’re not going to judge. Deferred lighting gives you beautiful explosion, projectiles and lasers lighting that can be visible on units and ground. The Settings menu has received many new options to adjust graphic details to your potato computers. Unit Names and descriptions in the build menu have been moved from bottom to a little tooltip that appears near your cursor, making it easier to find what are you pointing at the moment. Pretty useful. Some sounds have random pitch now, which makes them not sound the same all the time. Positional audio has been enhanced. You’ll no more be confused while hearing distant shots that are as loud as shots near you.